As a home rule state, disaster recovery is the responsibility of local and tribal governments. It's possible that there will be no federal or state funding available for recovery. Much of the available federal funding is dependent upon a Presidential Disaster Declaration and declarations may only include parts of the Public Assistance (Infrastructure) or Individual Assistance (Individuals and Families) programs. Even with outside funding, local ownership of the recovery process is necessary for success. Pacific County has in the past, been fortunate, in that local citizens have stepped up and formed Long Term Recovery committees following the Willapa Hotel Fire and the 2007 Windstorm. Those committees facilitated the process and effort involved in meet the needs of citizens that no other state, federal, or non-governmental organization could. 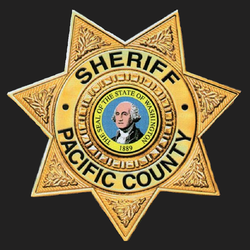 Although no continuing committee exists at this time, PCEMA believes in the resilience of the Pacific County citizens, and based on history, is certain that the citizens of Pacific County would once again step up to assist local communities and their neighbors. A spreadsheet of currently available state, federal and non-governmental resources can be found by here.